That faint smell of mud, the cool breeze, nightingales cooing that tell tale song, an abundance of stone fruits and freshness galore, aah... the rains are finally here. Monsoons are a major season here in India and love them or not, you cant ignore them, that's for sure. As a child, a little heavier rain than usual meant no school for that day as our school gate would be completely immersed in water. It also meant hopping in every imaginable puddle in our colony hand in hand with my dear bestie Binita. As an adult now I would like nothing better than to sit at my window staring at God's beautiful ways, curled up in front of the idot box and watch a Yash Chopra movie, preferably Chandni or Lamhe, sipping on hot chai and devouring a crunchy (preferably baked) snack. Pure unadulterated bliss. A few days ago as I was at my local supermarket checking out some baked bean cans for a change in breakfast routine, there is where I chanced upon a small packet of Goa Pork Sausages. 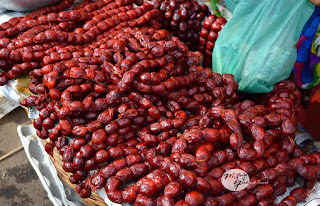 Goa Pork Sausages aka ‘Chorise’ are a type of Portuguese Chorizo (sausage) in which meat from either the loins or legs of a grass fed pig is coarsely chopped (never, ever, minced) and mixed with salt, pepper, garlic and pimento (which gives the chorizo its colour). It goes into casings (made, like all sausage casings, from the pig’s intestines) and is ready to cook. Every butcher has his own recipe. The salami-style chorizo goes into larger casings and is then kept in the drying room for a minimum of a month so that the spices cure it enough to be eaten without cooking. The Portuguese follow the same basic recipe with one important difference: they often use vinegar. And so, when they took their chorizo to their colonies, it was the vinegary version that travelled with them.) Which until recently were only available at special Catholic shops or you got your friend to get you some from Goa on his next getaway. Imagine my utter joy at laying my hands on these flavourful lovelies and just like that a light blub went off in my brain. 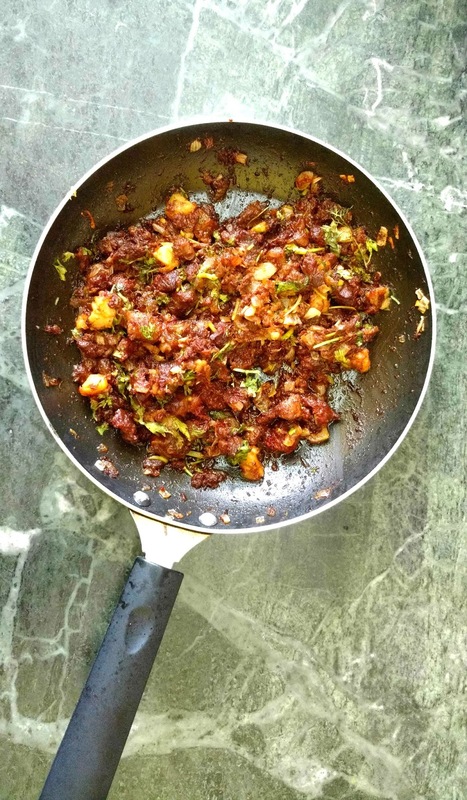 Some crunchy patti (filo) Samosas were going to be filled with this mouthwatering mince. 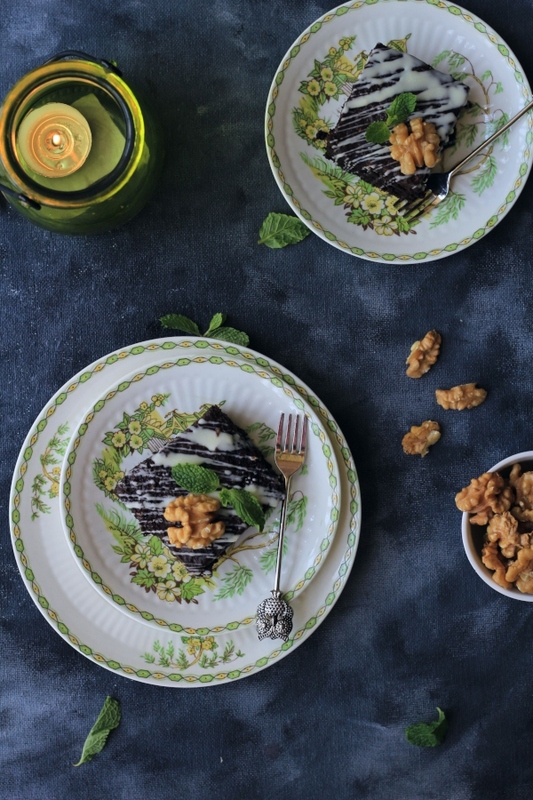 In case you've stopped drooling all over your screen, read on for the recipe, it comes together really quick. In a small skillet heat some oil and fry diced onion till it gets translucent. Once the mixture is cooked well and has reduced slightly turn off the flame and allow to cool to room temperature. Once cool fill in the mixture one pastry sheet at a time as shown below. Seal the edges with a little water, these pattis stick mighty fine. 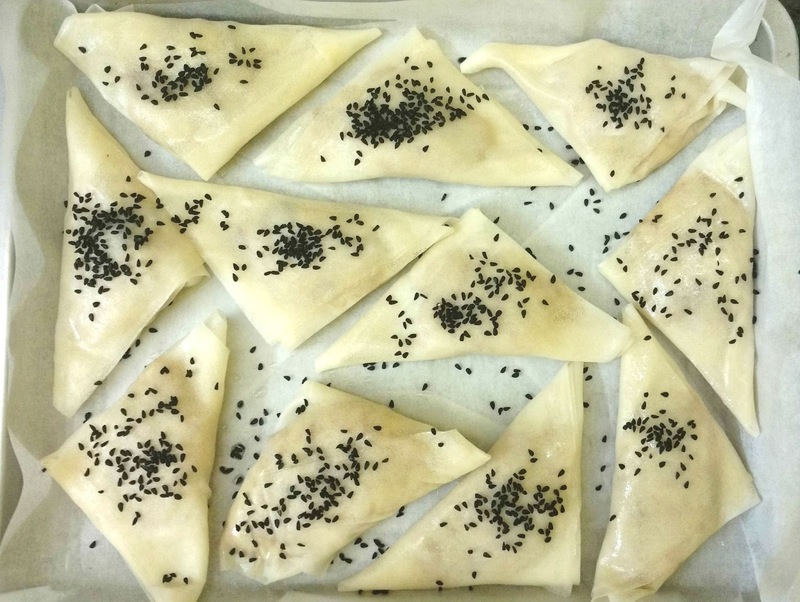 Once all the samosas are shaped, line a baking tray with baking paper. 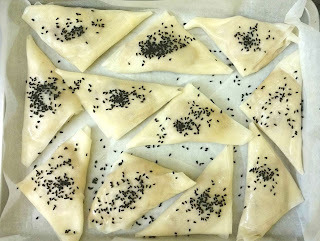 Now brush both sides of each samosa with a little oil and place on the baking sheet. Bake in the upper rack of a preheated oven @180 degrees c for 5 to 7 mins on each side. Serve hot with a cuppa chai and some useless conversation.